Supply and demand can be a tricky thing to master, but on eBay one rule of supply and demand is often forgotten—multiple listings drive prices down. 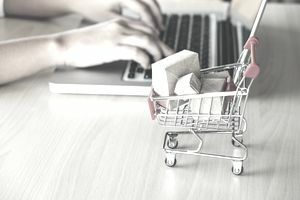 eBay is deceptive in comparison to traditional retail because the entire marketplace exists on a single website, with a single point of entry, and everyone has access to it. None of the traditional barriers that separate local markets exist, and there are no physical incentives (say, the difficulty of driving across town to another store) to keep customers shopping within your stock as opposed to someone else's. Furthermore, auctions remain the most popular eBay selling format, making it possible for the market to set the price of an item. Too often sellers with multiple items to sell are content to list them all at once in an already crowded market, perhaps even in a multiple item listing, without first doing research to determine whether or not this is the most effective selling strategy. Also common are sellers who figure that if they are turning a profit on their items, they can double that profit by doubling the number of items that they list for sale. Neither practice holds up in the cold, harsh reality of the marketplace. If you want to maximize your earnings, you can't simply list items in bulk without stopping to consider the effects on final prices of such a market flood. Though power sellers use formulas and carefully recorded data to track their earnings and establish a listing rate, every seller can improve his or her sales potential for multiple items simply by following a few ground rules. The larger the size of the buying market, the more concurrently sold items the market will bear. In short, if you list so that your auctions close when more people are buying, you can list more items simultaneously without hurting your sale price. The quantity of most products on eBay experiences a kind of ebb and flow as big sellers buy in big lots, then sell off their stock. Before you decide to sell a lot of a particular item, do your research. If other sellers are currently saturating eBay with similar items and you can afford to wait for volume to let up a little, it is to your benefit to do so, especially if the other sellers' stock appears to be larger than yours. Unless your item is very hot in the marketplace or you have a very large volume of items to sell, stagger your listings so that they're ending on successive days or weeks, rather than all at once. It will give buyers who don't win one auction the chance to find and bid on the next one. If you believe your items to be niche items or to have a limited market of buyers, consider not listing those items in the auction format at all, but in fixed price format instead, perhaps even in eBay stores. The auction format may not give a small buying pool who would otherwise be willing to pay higher enough time to bid a listing upward. Whenever you're attempting to sell multiple items, research the eBay marketplace and then ask yourself whether you're likely to saturate the market and drive closing prices down if you list too many auction items at once.